Most bio-hazardous events are unsafe for homeowners or custodial teams from Los Angeles County businesses to address on their own. 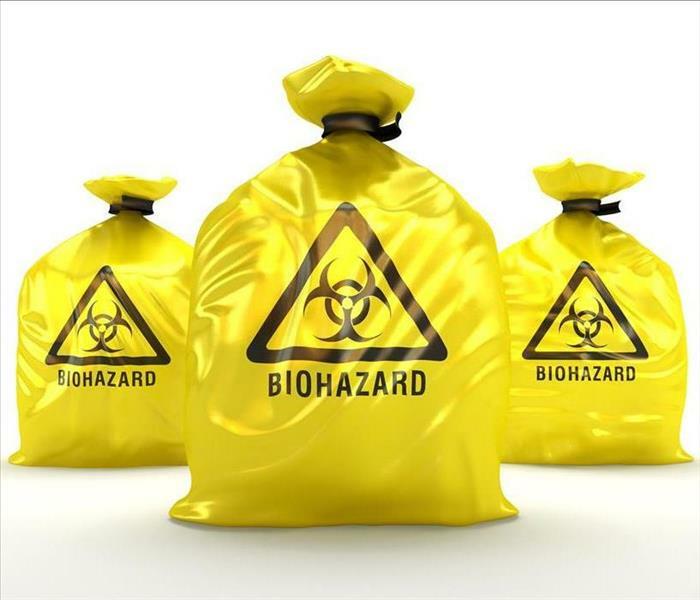 While this facet of restoration requires a considerable amount of training and expertise, we have multiple technicians with the IICRC certifications for biohazard cleanup. As many restoration teams are not certified to handle these types of emergencies, we feel proud to offer fast response and expertise in these often stressful or traumatic times for our customers. We remove and dispose of bodily fluids, tissue and other potentially pathogenic substances resulting from accident, trauma, crime or death. Trained SERVPRO of Azusa / Covina Professionals clean, disinfect and deodorize the structure.